RESIDENT #5 – stated that he ‘lived directly behind the town hall’ and that council talks about ‘community planning’ but they got a letter ‘yesterday’ telling them that their 2 hour parking on their street would now become all day parking. Believed that this change was to ‘facilitate council employee’ parking and not residents. Facilitator again interrupted and said that the resident is basically asking about the amount of information and ‘why’ this is happening. Resident answered that he is talking about ‘prior consultation’. Facilitator then rephrased again to include ‘consultation’. TORRES: started saying about a ‘review’ of parking in the municipality, but was interrupted by the resident saying that he isn’t concerned with the entire municipality just why this happened to his street. 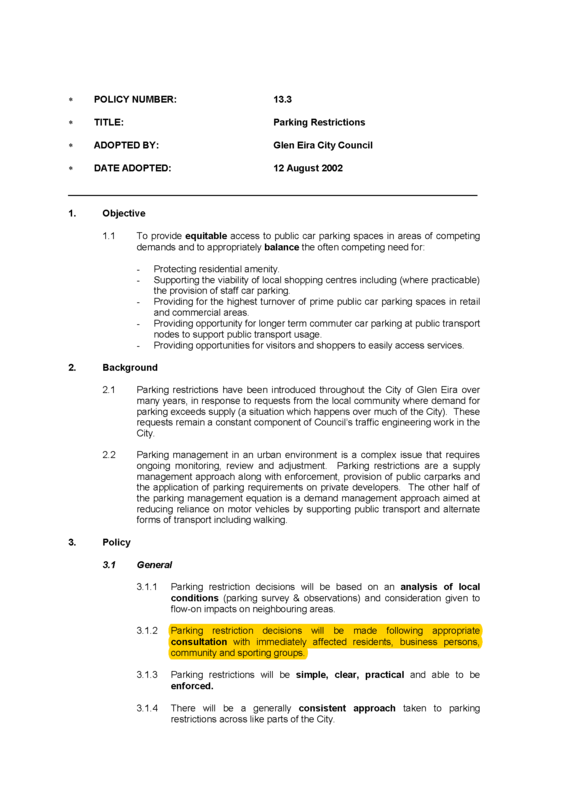 Torres then continued and said that some ‘underutilised parking areas’ had been identified and having one side of the street as two hours and the opposite as unrestricted is ‘consistent’ with other streets in Glen Eira. Also said that parking is ‘dynamic’ and changes happen ‘over time’ so ‘it’s not a permanent situation’. The letter also said that the new conditions would be ‘reviewed early next year’. Resident then explained how he already can’t get out of his drive. Facilitator again suggested that the resident speak with Torres and to provide him with details about the ‘process that took place’ and how the resident might ‘make an objection’. Resident claimed that this situation is exactly the same as happened to the other speaker’s question on Phillip’s Street changes. Facilitator summed up by saying ‘parking is a huge issue’ and therefore there needs to be the opportunity for this to be ‘examined’. Resident then went on with issue about trees and breaking branches and that ‘nothing’ ever happens about their concerns. Great. Let’s have policy and then ignore every word of it if it doesn’t fit in with what we want like giving developers more places to park and the same for staff. Stuff residents they don’t matter. Good job well done council. How many more outdated policies/strategies/LPPF are going to come to light. Not to mention Council admitted it’s traffic data was outdated, ever wondered why traffic is not a problem when it comes to the assessment of planning permits? Outdated data does it every time!!!!!!! Why the F!!! do we have as many staff as we do when they are clearly doing buggar all. Been looking at the agenda on the new code of conduct. Nothing on residents versus councillors. One new face or name has appeared – a Ms Wendy Mason as “governance” person. Methinks that Ms McKenzie is making some dramatic changes and that a certain Paul is being very quietly pushed to one side. Would have to agree with anonymous that the sooner this pushing is complete the better off all residents will be. Macca, It looks like there is a big tiidal way. McKenzie is known to be a very sharp CEO not like Newton who was remote controlled by the liberal Councillors. McKenzie knows people in right places and reduction of 1200 staff should be high on her list. If McKenzie is getting rid of the dead wood then more power to her. After chopping the dead wood from planning and the Burke’s community services empire, next on the chop list should be CK O’Brien staff (a.k.a. 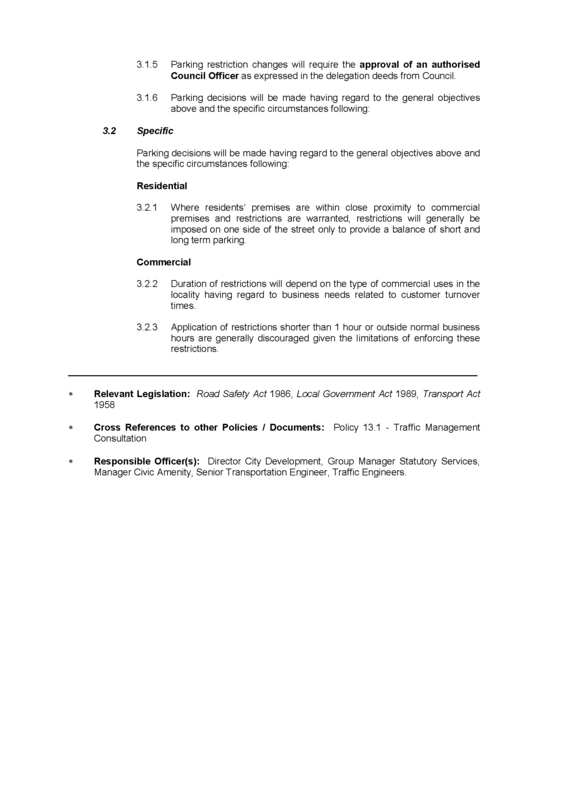 Council’s contracted out traffic and parking management). Torres admitted to the use of outdated traffic data and anyone who has contracted the traffic department well knows what out right liars they are. 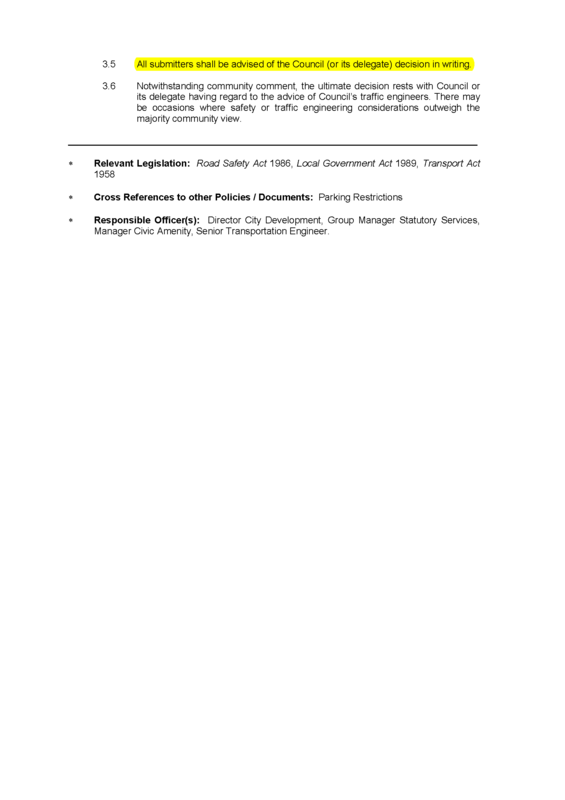 Whats more aren’t even good lies, instead they are lies that easily verified as such by a simple phone call to VicRoads. It seems the choice of which department to chop first is a veritable smorgasbord. Getting a straight answer out of these bozzos is like getting blood from a stone. Enough already. Time for some honest answers and an Eddie apology for stuffing up this council good and proper. 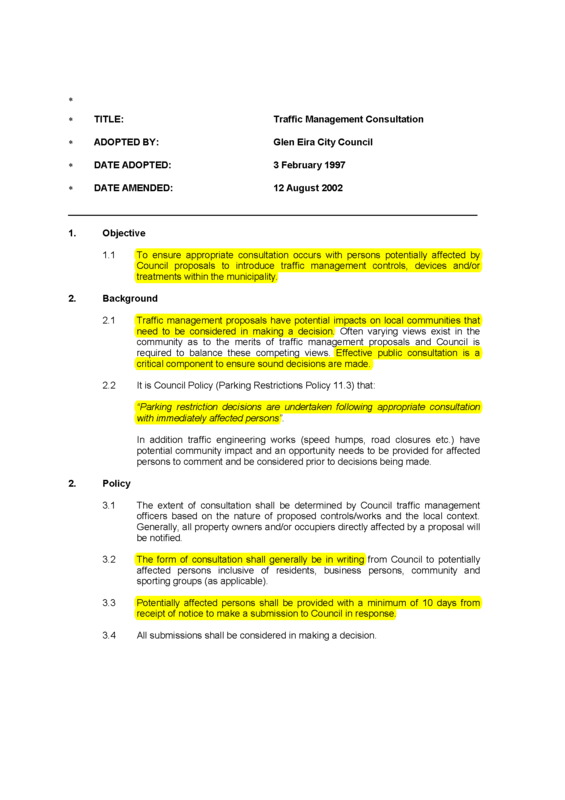 Council’s confession that parking is a very real problem does not do them any favours. The nightmare of congestion did not start overnight. It has been building and building for years. Their solution has been to waive visitor car parking on anything that is close to a commercial centre and send more cars into local streets. If this is “traffic management” then god help us. I’m annoyed too that after all these years these “experts” can now be talking about parking precinct plans when it has been part of “future strategic work” identified in the planning scheme for at least ten years. The comment made by someone is very pertinent – exactly what have all these highly paid professionals been doing for the last ten years? Nothing it seems is the answer. They have been happy enough to take their wages and to produce nothing of benefit to ratepayers. We keep paying for consultant after consultant and hiring out basic services whilst at the same time putting on more and more staff. Something is very wrong. It’s obvious more money time and effort have been spent on cover-ups than managing a city or community. Our new CEO should put a fresh broom through the town hall, the remains of the misogynous old guard need to sent packing. Just look at our community newspaper, what a joke, it does nothing to educate or inspire residents. The person ultimately responsible for this waste of time and money and paper should be the first to go.